1.1 Northeast Monsoon conditions prevailed over the ASEAN region. In the Mekong sub-region, dry weather persisted over most parts of the region, except for some isolated showers that fell over coastal Viet Nam on a few days due to the strengthening of northeasterly and easterly winds over the South China Sea. Rainy conditions were also experienced in southern Thailand and northern Peninsular Malaysia due to the passage of Typhoon Pabuk during the first week of the month. 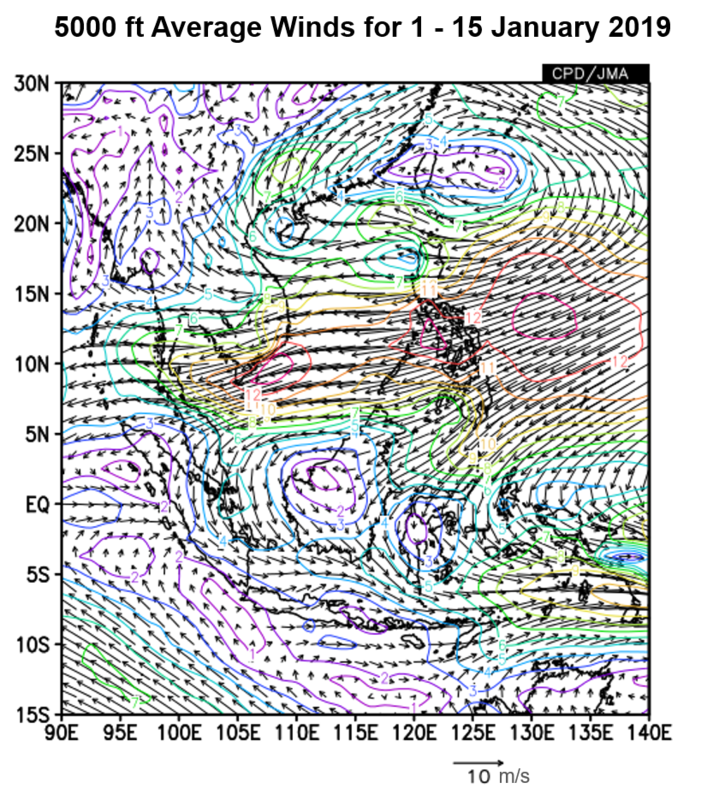 This resulted in above-average rainfall over southern Thailand and northern Peninsular Malaysia. 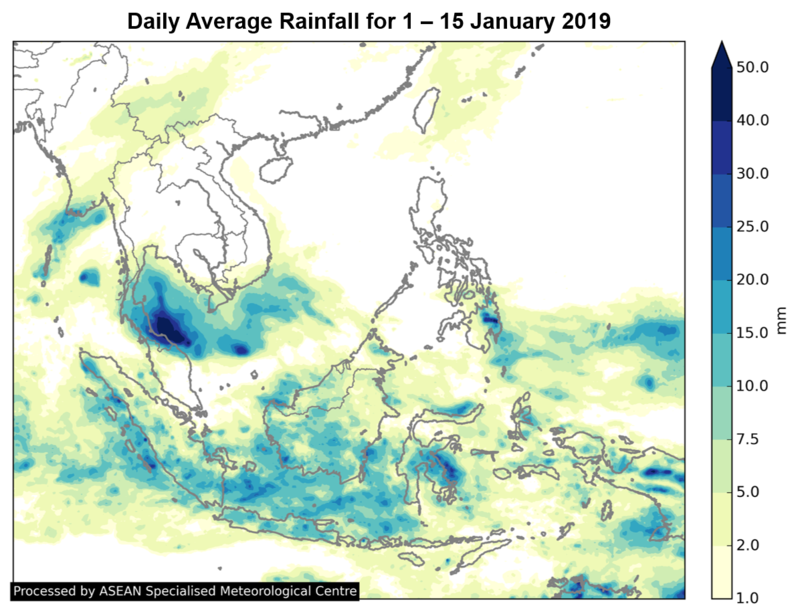 1.2 There were scattered shower activities over the southern ASEAN region, and most parts of the region received average to above-average rainfall. 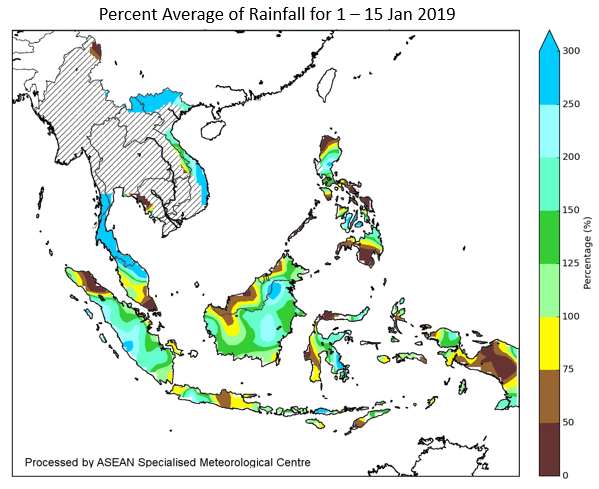 However, there were some areas where below-average rainfall was received, namely parts of Malaysia, northern Sumatra, and Java. 1.3 The rainfall distribution and the percent of average rainfall for the first fortnight of January 2019 are shown in Figure 1 and 2. 1.4 In the northern ASEAN region, moderate to strong easterly winds prevailed over the South China Sea area. There were also anomalously southwesterly winds under the influence of the Typhoon Pabuk. 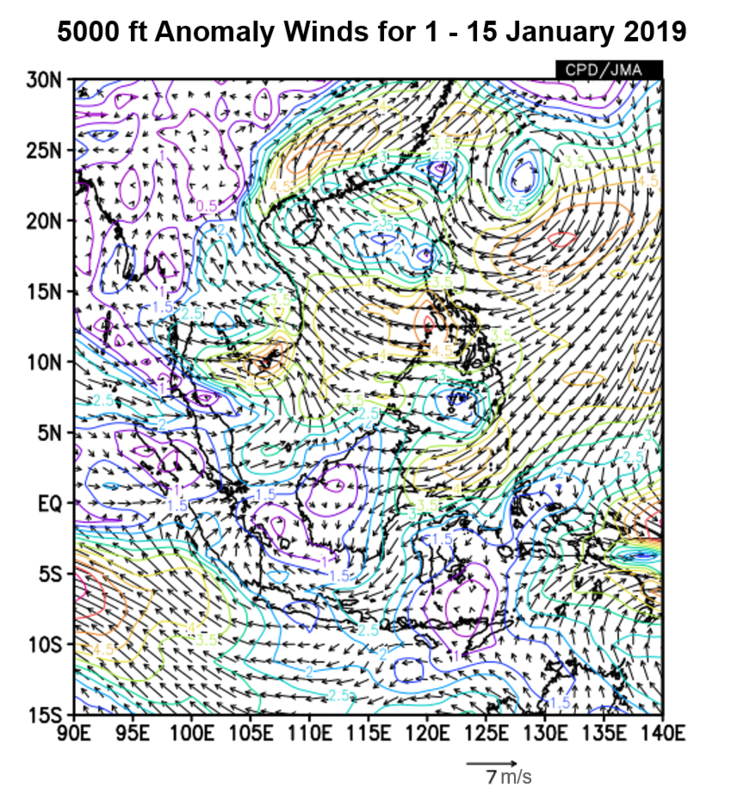 In the southern ASEAN region, anomalous westerly winds were recorded. 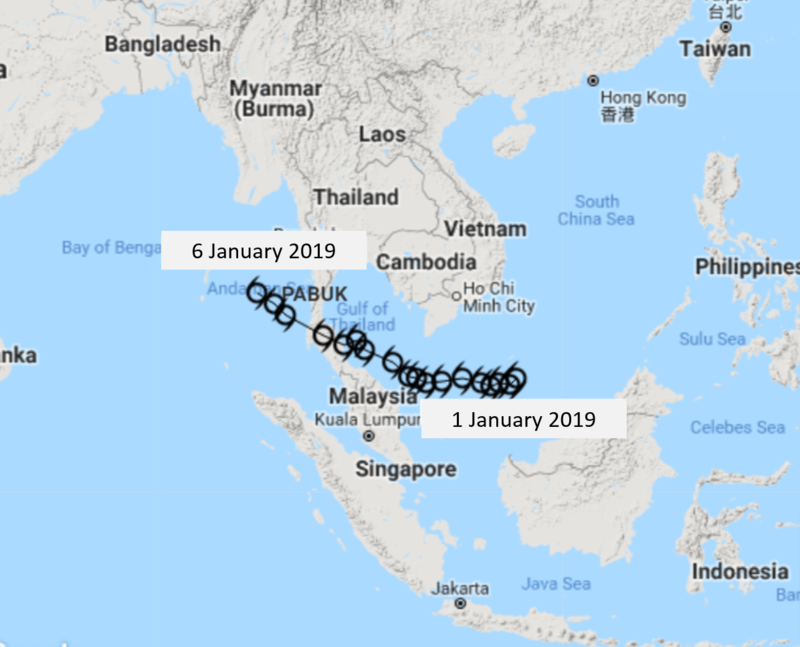 Figure 4: Track of Typhoon Pabuk between 1 and 6 January 2019. 1.5 The sea surface temperature (SST) over the tropical Pacific Ocean is warmer than average, but temperatures remained in weak El Nino conditions and have weakened further. Prevailing atmospheric response, viz the cloudiness and trade winds over the tropical Pacific Ocean have remained neutral. 1.6 During the fortnight, moderate to strong Madden Julian Oscillation (MJO) signals propagated through Phase 6 – 8. The signal weakened towards the end of the second week of the fortnight. Although MJO signals in Phase 6 – 8 typically brought dry weather to the region, the MJO did not significantly influenced the weather in Southeast Asia during this period.